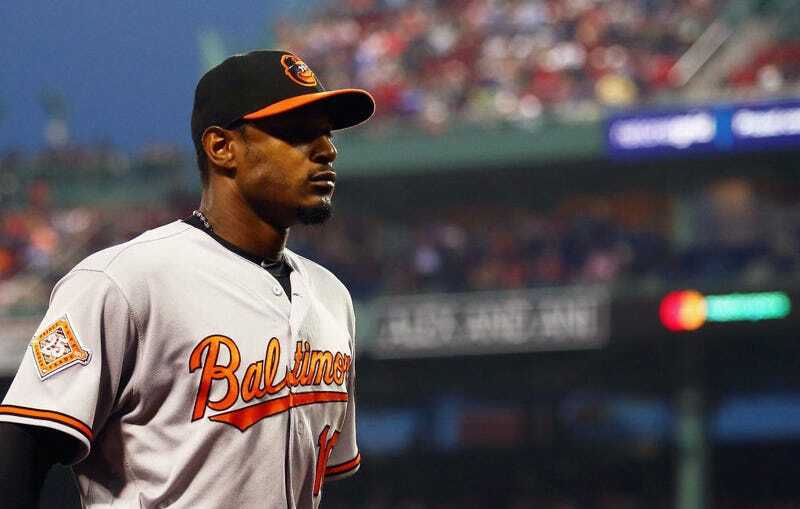 Orioles outfielder Adam Jones did an interview with Jeff Passan of Yahoo Sports about black players in baseball, racism, former Red Sox pitcher Curt Schilling, and more. It’s a valuable conversation with a lot of hearty answers from Jones. He shared what he thought was the dumbest thing people say (“I don’t see color,”) and brushed off Schilling’s amateur investigation into racism. Yahoo: How many times have you been called the N-word in Boston? Jones: To me, a few. To others? Now, you can’t just single out Boston. That would be a cop-out. You go around the whole nation, and you hear fans get nasty. I don’t know if it has something to do how with how their day went. I understand people’s frustrations after they have a tough day. Could’ve had a tough day at work. Could’ve been fired. Wife could’ve chewed ‘em out. Kids could’ve gotten sick. I’m a fan of baseball, so I understand if you go laugh at a player when he’s 0 for 3 or somebody’s hitting .150 – baseball-related is perfectly suitable. The second you want to start cursing, let alcohol beat you up a little bit, yell profanity, get angry – that’s not the sport. And another thing I think ties into aggression with sports, especially with Twitter, Instagram, social media, is fantasy. I get guys like, “Hey, can you sign this for me?” I sign for them, and they’re like, “Hey, I’ve got you on my fantasy team. Do something.” Like … OK. How do you respond to that? At the end of the day, when this uniform is off, I try to be a normal person. But I understand it’s a different standard. Whenever we speak out or whenever anything happens to us, it’s all documented. In 2017, everything is going to be news quickly, quickly, quickly. I got so many calls after (Boston). My mom, she’s all upset. I’m her baby boy. She doesn’t want me to have to go through things like that. But I told her, that’s why I had to speak up about it. [Curt] Schilling is over there with his rants. He just wants an outlet. Somebody will take his call, take his rants. He can keep them for himself. Because he’s never experienced anything like I have. I’ll stick with what [Mark] McLemore said about it: Schilling, hell of a career. But he’s never been black, and he’s never played the outfield in Boston.